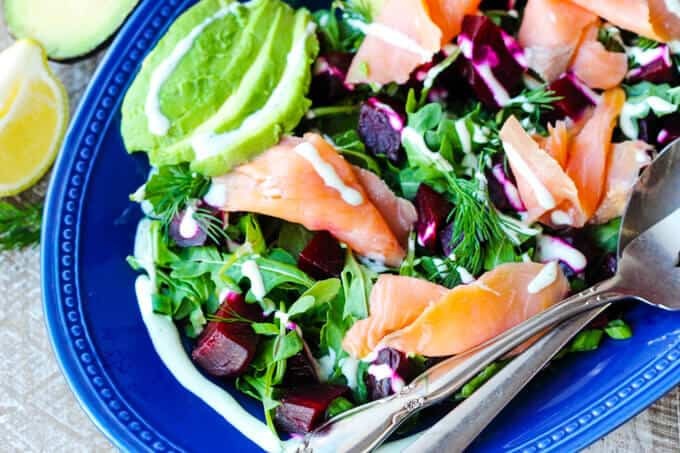 This post with the recipe for Smoked Salmon and Roasted Beets Salad was one of the first posts I had ever published in May of 2014. Admittedly, neither photos nor the post itself were great. 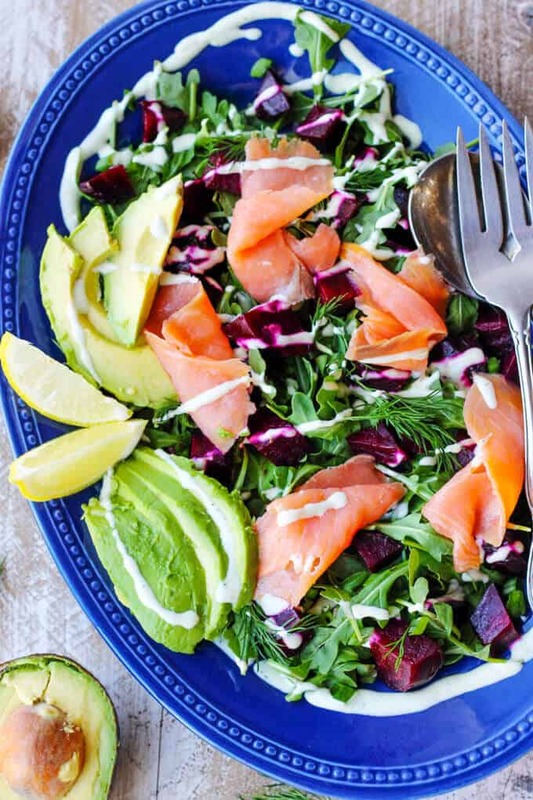 The funny thing is, is that when I first published this post for this Smoked Salmon and Roasted Beets Salad I was convinced that it was a winner. Well, I must respectfully disagree with my old self now. Don’t get me wrong the recipe was great; however everything else wasn’t that appealing. Now, seeing that salads are a staple of many peoples’ New Years health kicks, I figured that it would be a good time to revitalize this post. 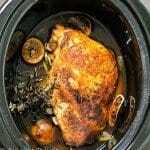 So, I have recreated my recipe and taken new photos. 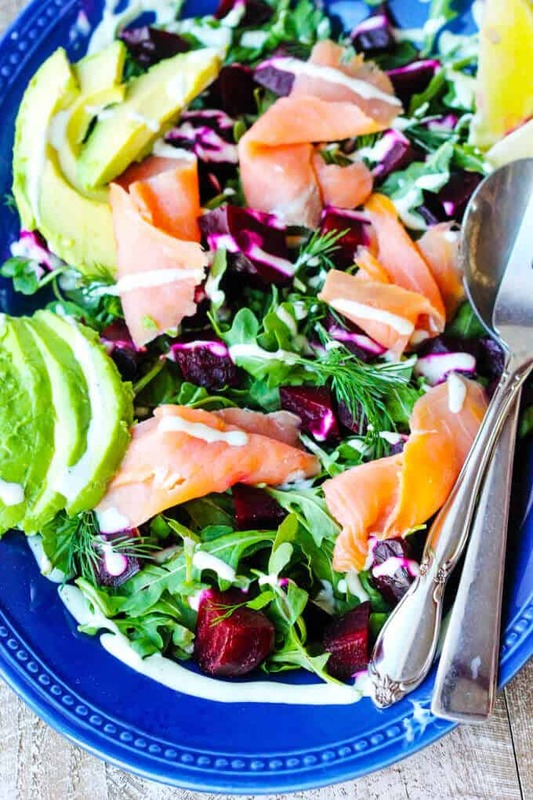 Now, I’m happy to present you with this fantastic Smoked Salmon and Roasted Beets Salad. The inspiration for this salad came from a lunch in the city with my husband in one of my favorite chain restaurants in NYC: Le Pain Quotidian . I ordered a Smoked Salmon Salad with Roasted Beets and Arugula, topped with a Goat Cheese Dressing. It was so delicious! Obviously I had to try to recreate it – and I must say, it came out great. It’s very simple and elegant. When you serve it to guests you’ll surely hear the sound of satisfaction. In fact, my husband isn’t a huge fun of beets (don’t ask me why); but he ate this salad and more to the point, he enjoyed it (though I’m not completely sure that he didn’t hide some of his beets). Yet if you really don’t like beets, you can always skip them or replace them with, for instance, roasted squash. But in my opinion substitutions won’t be the same. I added a twist in here as well: …sliced avocado… I think every salad needs avocado, right? It just makes a huge difference. 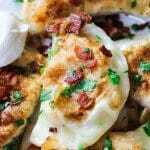 You can see for yourself by also trying this Garlic Lemon Chicken Salad with Glazed Onions Mustard Dressing. 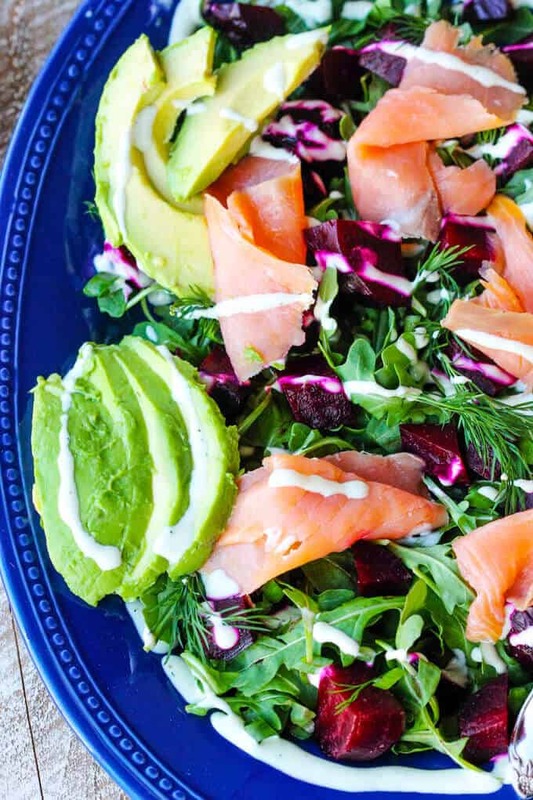 So, why is this Smoked Salmon and Roasted Beets Salad so good for you? And they’re packed with valuable nutrients and fiber (vitamin C, potassium, magnesium, folate). 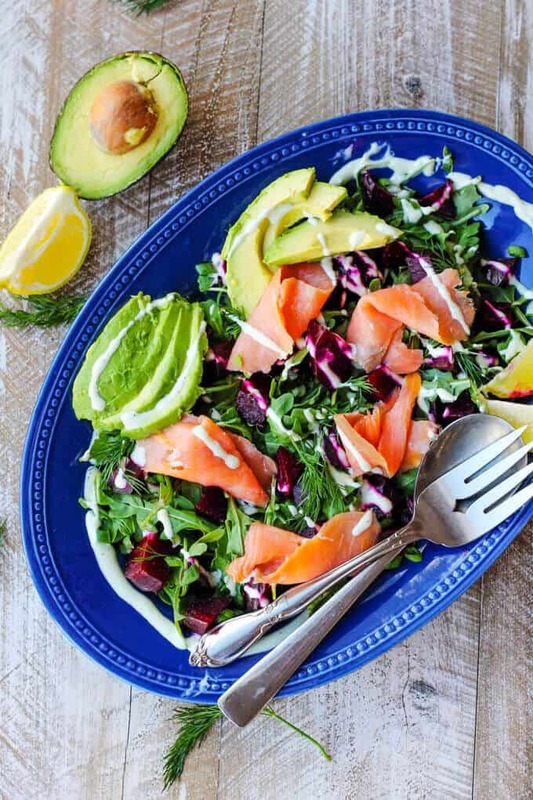 Smoked salmon is an excellent source of protein, Omega-3 fatty acids and iron. And arugula? I love the peppery taste of this green. Not to mention, it’s tremendously good for you: it contains anti-cancer phytochemicals, & it’s a great source of vitamins A, C and K, as well as iron and cooper. If you top it all off with goat cheese dressing, made with buttermilk, you’re adding calcium and a healthy bacteria to the mixture. It can’t get any better than that. Oh and my avocado twist… I don’t even think I need to explain how healthy it is for you (20 minerals & vitamins and all these amazing healthy fats…so good for ya)! Turn on the food processor and mixed until smooth. Set aside. Separate slices of smoked salmon. 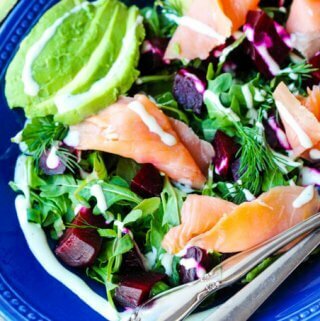 Put the arugula on a serving platter and then arrange the beets, salmon, avocado and sprinkle with chives and dill. 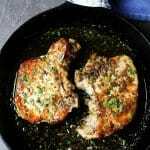 Drizzle with goat cheese dressing and sprinkle with some lemon juice. Serve immediately. Previous Post: « How to make beet kvass?